Irish funds registered in Italy nearly more than doubled from 2013 to 2017. Italy is in the top 10 countries where Irish funds are distributed. View the full country distribution guide for Italy (Irish Funds member login required). Italian tax reporting was introduced with effect from 1 January 2012. From this date, profits deriving from Italian and certain other funds became subject to a 20% tax rate. The increase from 12.5% to 20% of the tax rate applicable to profits deriving from investments funds mainly affected Italian resident private individual investors and certain non Italian resident investors. In order to preserve the reduced 12.5% taxation in certain instances, tax reporting is required in Italy to identify the portion of profits/losses associated with “indirect” investment in eligible bonds. It is necessary to determine an average percentage on the basis of the ratio between the value of the eligible bonds and the total asset value based on the two last available financial statements of the fund. The distribution country guide for Italy is available for Irish Funds Members. 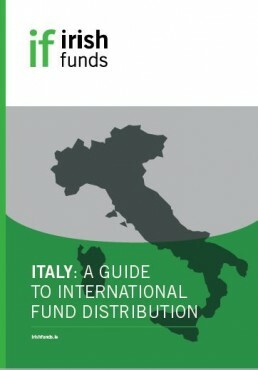 This guide gives a detailed view of the Italian market and the ins and outs of distributing funds there. Brian O’Rourke (Head of Manager Selection, Mediolanum Asset Management) talks about what managers might do to raise their profile or be successful in Europe.